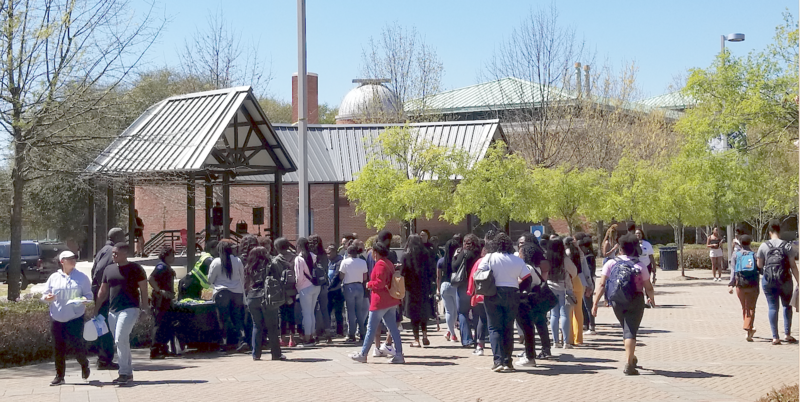 JSU’s Department of Public Safety provides material to students about how to report incidents. 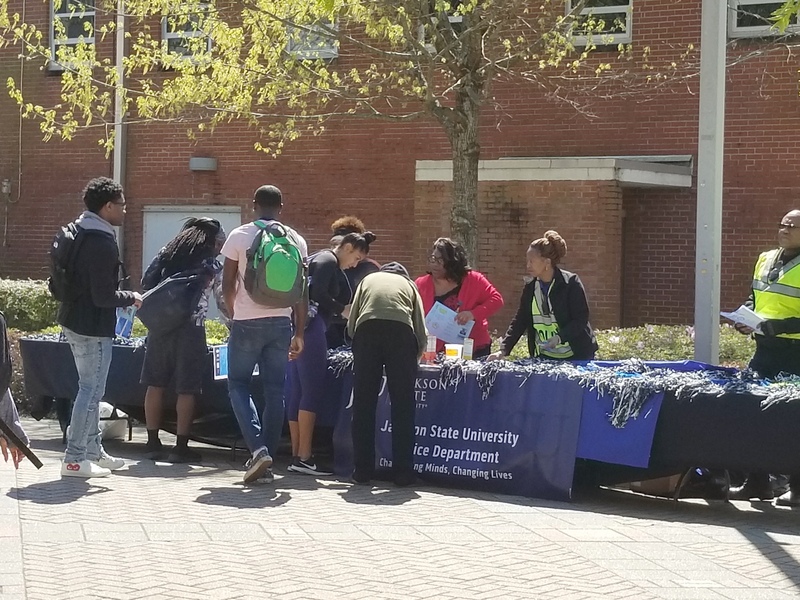 JSU’s Department of Public Safety presented its annual hotspot on the Gibbs-Green Memorial Plaza last week as part of its community-policing initiative. Capt. Janet Samuel said the event allows students, faculty, staff and officers to get better acquainted. 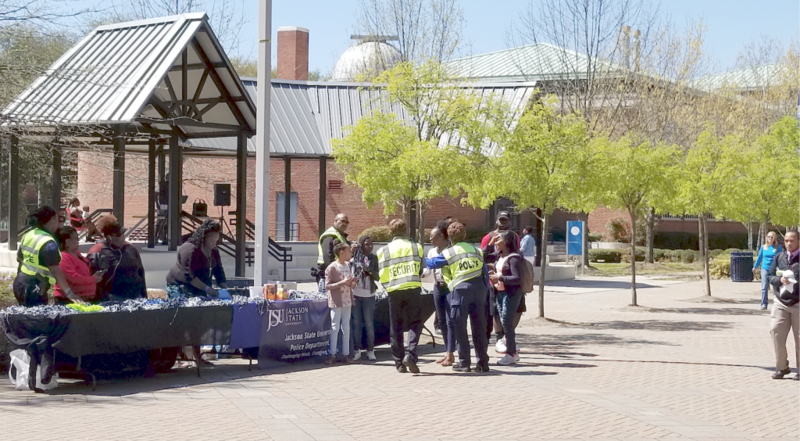 Officers engage with students on the plaza to provide safety tips. For additional convenience, Public Safety has a substation located on the lower level of the H.T. Sampson Library. It provides a centralized location to address a variety of needs. Meanwhile, headquarters is located off Dalton Street near the JSU Student Center. Samuel said the department will continue to engage with the campus community by sponsoring an annual hotspot. Last week, officers shared pamphlets on safety tips, 24/7 police patrols, crime prevention, the ID Center, parking decals and how to respond in an active-shooter situation. In the event of an emergency, individuals may contact campus police at 601-979-2580. A crowd assembles around the table for safety material and giveaways.